I know I’ve been bad about not keeping up with anything here. I had a busy and rough 2017 and am hoping that this year things will be better. So here’s a quick little catch up on a few of the things I did since the summer. Once I had my daughter and grandson here I couldn’t wait to get them out there to check out the scenery. I had so much fun hiking with my grandson and can’t wait to get him out there again soon to see and do even more. We tried to hit a few of the easier trails so my grandson could go too. Well I was really, really out of shape too so needed to start slow anyway. I really want to go out more and try some of the more difficult trails as well. There are so many around here that I don’t think we’ll run out of options any time soon. Fall was full of what you would expect. We visited a couple pumpkin patches, went apple picking, found our way through a corn maze, and made Halloween cookies. I love being able to take my grandson out and enjoy all of these activities with him. 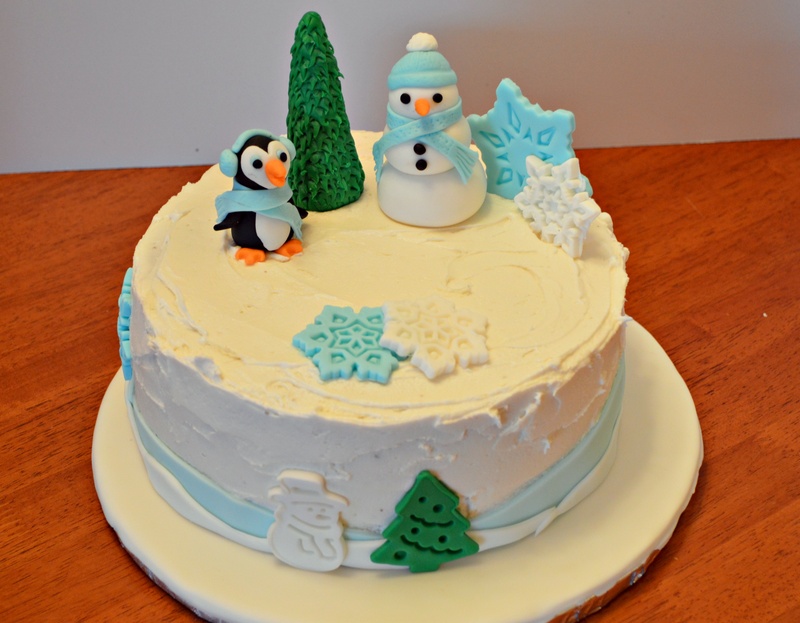 I did manage to decorate a few cakes as well. These two were for a good friend’s boys. They turned 1 and 3. 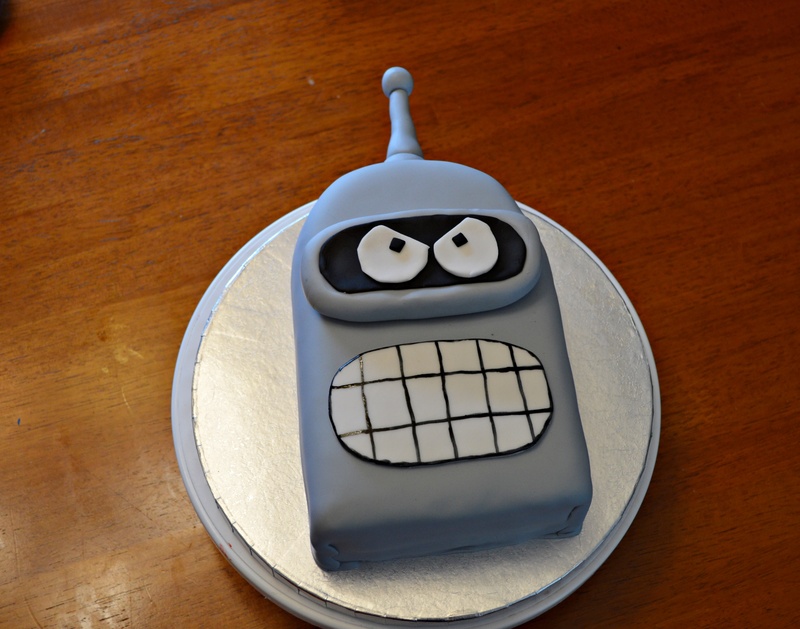 Bender for the 3 year old and the brain cake for the other. 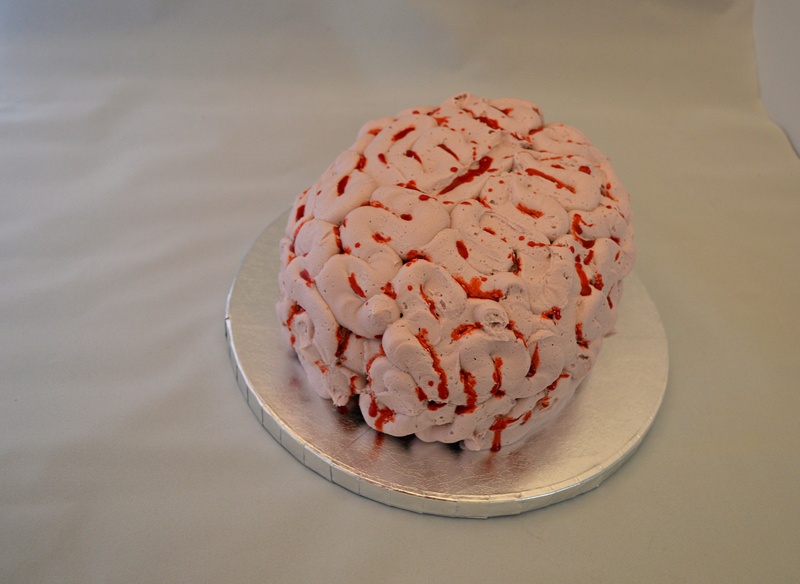 The brain cake was the second one I’ve made for my friend. The cake was red velvet with a raspberry filling. She was hoping the boys would smash into it and shove the cake in their faces so it looked they really had been eating brains. But, alas, neither boy was interested and it was a big failure. 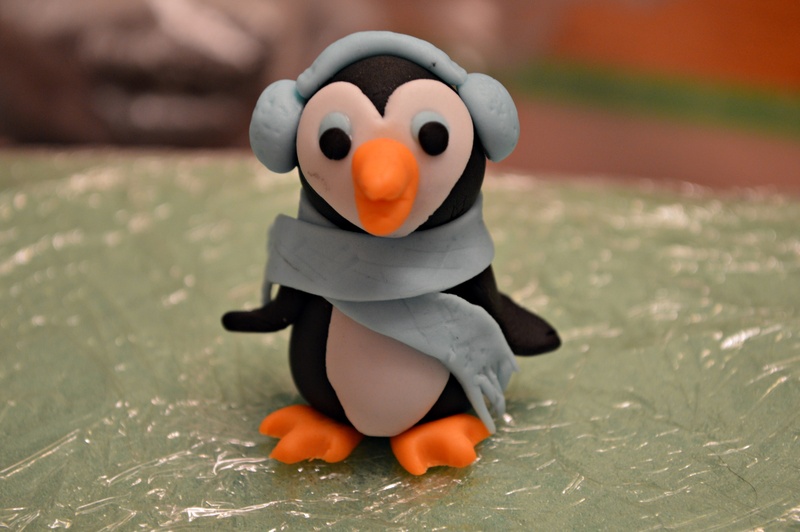 I was also asked if I would donate one of my cakes for a charity event in December. I’m not sure how much someone paid for the cake but I was told it went over very well. 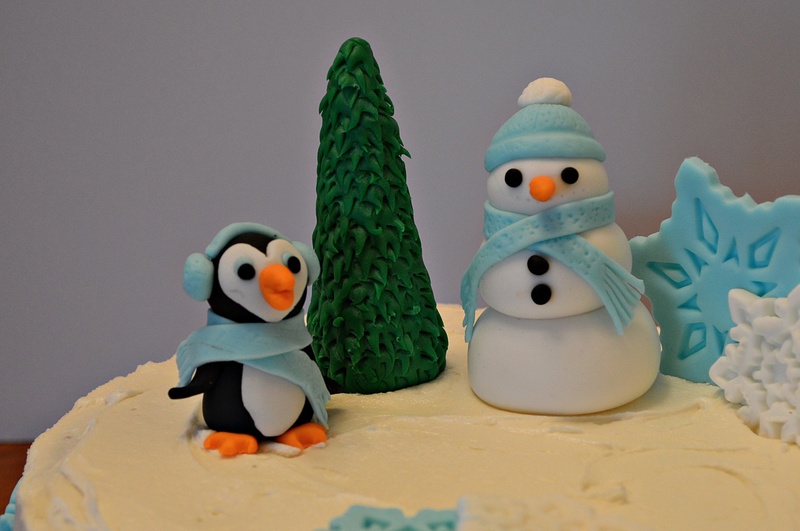 I had fun with the snowman and penguin but it did take some time with the details and then forgot the arms on the snowman. How can you have a snowman without arms? Christmas was a bit hectic. We needed a much bigger house with the added family members and I finally went ahead and bought a house and closed on it December 1st. We moved in mid-December which didn’t give us much time to get ready for Christmas that’s for sure. We put up the tree and then a few decorations. We were fortunate to be able to go to The Trans Siberian Orchestra again and took my grandson with us. He absolutely loved it! He had the biggest smile on his face the whole time. We also went on a short horse drawn carriage ride and met Santa. One of our favorite holiday traditions is to watch It’s a Wonderful Life on Christmas Eve. I found it amusing during our carriage ride that we actually have a Bailey Brothers Savings and Loan building. Of course we did a family Christmas baking day. It’s one of the biggest things my daughter from SD missed and wanted to make sure we fit it in somehow. 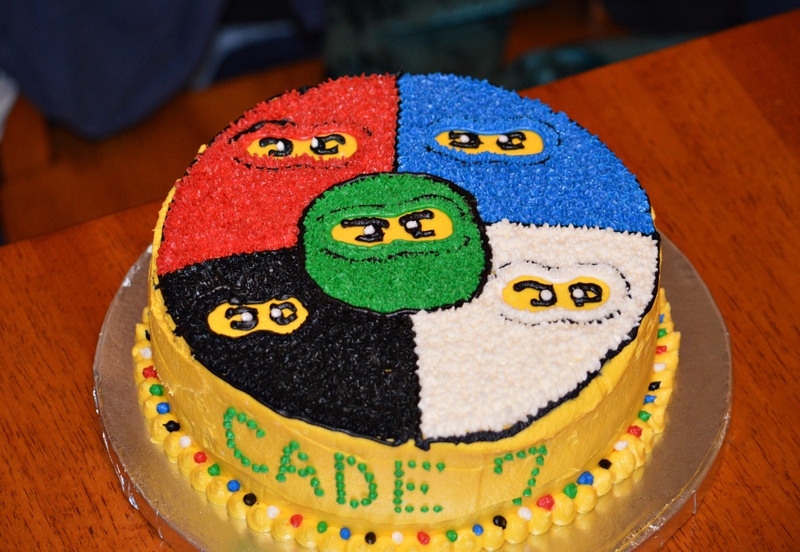 We also had Cade’s birthday the beginning of December, but with the move and everything I didn’t really have a chance to go overboard with his cake. He loves Ninjago so that’s what he wanted. That’s it for 2017. We are still trying to figure out where to put everything. I swear stuff multiplied between the move. We moved to a house TWICE as big as the last and I still don’t know where to put all my stuff. I think it’s time to downsize.